Bo-Mi Song, Ph.D. is a Postdoctoral Researcher in the Section on Sensory Coding and Neural Ensembles at the Eunice Kennedy Shriver National Institute of Child Health and Human Development, National Institutes of Health, USA. She is interested nterest is in mechanistic understanding of sensory perception and is currently studying neural pathway underlying gustatory coding in Drosophila melanogaster and developing a tool to study sensory coding in Manduca sexta. Watanabe et al in eNeuro (2018) report their successful development of transgenic cricket Gryllus bimaculatus that bears a transcriptional reporter for whole-brain, single cell-resolution activity mapping. In order to construct a transcriptional reporter for activity mapping, it is critical to identify an activity-regulated gene and to determine its cis-regulatory element. 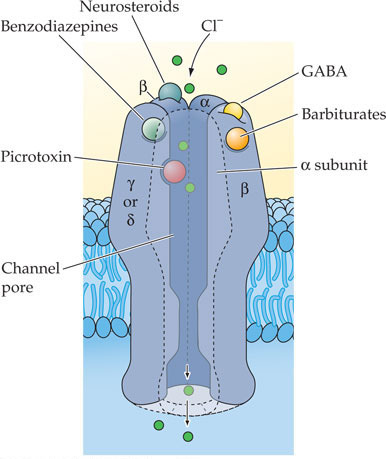 The authors first started by establishing an “active” condition in which a GABA-A receptor blocker picrotoxin was injected into the brain and thus neurons are globally hyperexcitable. Under the “active” condition, expression kinetics of Gryllus bimaculatus homologs of known activity-regulated transcription factors was monitored by quantitative RT-PCR analysis. The authors found that (1) transcription of egr-B was activity-dependent, rapidly induced and subsequently sustained at high level for more than 1hr (2) physiologically relevant neuronal activation such as sucrose consumption and agnostic interaction could induce detectable egr-B transcription, indicating that cis-regulatory element of Gryllus egr-B is suited to be used for activity mapping. To determine cis-regulatory region of erg-B, transcription start site was determined by 5’RACE (Rapid Amplification of cDNA Ends) and the upstream region was analyzed by homology-based comparisons against other insects. ~2.2kb genomic fragment containing the ~1.6kb upstream sequence and 5’UTR (untranslated region) of Gryllus egr-B was sub-cloned into piggyBac-based vector to drive expression of a fluorescent marker nlsEYFP:PEST (nuclear-targeted destabilized enhanced yellow fluorescent protein). After injection of the vector and piggyBac transposase mRNA, individual F1 line that inherited the transgnee was selected and subsequently tested for picrotoxin-dependent nlsEYFP:PEST expression and for minimal baseline. Quantitative RT-PCR analysis revealed that expression kinetics between picrotoxin-induced nlsEYFP::PEST and Gryllus egr-B are highly correlated in the selected transgenic line, suggesting that the reporter expression mimics that of Gryllus egr-B. The GABAA receptor is made up of five subunits that form a chloride channel. To test feasibility of whole-brain activity mapping in the transgenic reporter strain, picrotoxin-driven nlsEYFP:PEST expression was checked by immunohistochemistry and western blot analysis. 6hrs after picrotoxin injection, EYFP immunoreactivity was limited to neurons in the lateral parts of subesophageal ganglia and time-course western blot analysis failed, suggesting a possibility of weak expression driven by Gryllus egr-B cis-regulatory element or limited neuronal population that are subject to disinhibition by blockade of GABA-A receptor in the cricket brain. Activity mapping of behaviorally activated neurons were also tested after sucrose feeding. 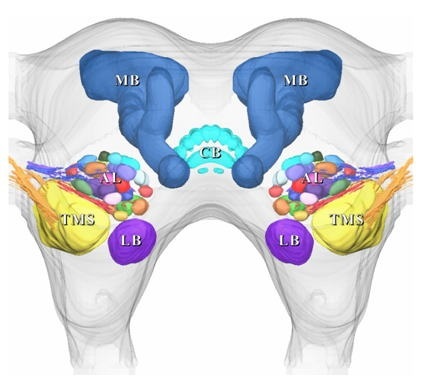 As expected from previous reports that octapaminergic/tyraminergic neurons are involved in reward circuitry, EYFP immunoreactivity was found in octapaminergic/tyraminergic dorsal unpaired median neurons in the subsesophageal ganglia. It remains to be tested whether transcriptional reporter can function in brain regions other than subesophageal ganglia and how accurate the activity mapping by the transcriptional reporter. However, given that identification of novel neural pathway is extremely inefficient in non-drosophilid insects, it is certain that an approach such as this study would substantially advance neuroethology.